The dry flower of annual herbaceous plant Carthamus tinctorius L. of family Compositae. Henan, Hubei and Sichuan provinces in China. Collected in summer when the flower changes from yellow to fresh red. Lightly fragrant smell and lightly bitter taste. Fresh red corolla without spine, soft and moist like pappo when touched. Dried in the shadow or in the sun. Pungent, warm; heart and liver meridians entered. Activate blood and dredge meridians, dispel stasis and alleviate pain. This herb is an excellent herb for activating blood and dredging meridians, and dispelling stasis and relieving pain. It is a commonly used herb in treating blood stasis in gynecology and obstetrics. It is used singly or combined with blood-activating and nourishing and meridian-dredging herbs such as Dang Gui, Chuan Xiong and Tao Ren. For instance, for dysmenorrhea caused by blood stasis, it is decocted with wine in Hong Lan Hua Jiu from Jin Kui Yao Lue. For amenorrhea due to stagnant blood, it is combined with Dang Gui, Chi Shao and Tao Ren, etc. in Tao Hong Si Wu Tang from Yi Zong Jin Jian. For postpartum abdominal stagnant pain, it is combined with blood-activating analgesics, for instance with Pu Huang and Mu Dan Pi, etc. in Hong Hua San from Huo Fa Ji Yao (Confidential Essentials of Therapeutic Principles). This herb has the actions of dispelling mass, unblocking blood vessels, resolving swelling and relieving pain by activating blood and resolving stasis. For mass, it is usually combined with blood-breaking and mass-eliminating herbs such as San Leng, E Zhu, Shui Zhi and Meng Chong, etc. For obstruction of heart vessels and angina pectoris, it is combined with yang-activating and nodulation-dissipating herbs and blood-activating and pain-alleviating herbs such as Gui Zhi, Xie Bai, San Qi and Dan Shen, etc. For traumatic injuries, congestion, swelling and pain, it is commonly combined with blood-activating and trauma-curing herbs and swelling-resolving and pain-alleviating herbs such as Zi Ran Tong, Ru Xiang and Mo Yao, etc. For swelling and pain of sore and abscess, it is combined with heat-clearing and toxicity-relieving herbs, and abscess-removing and nodulation-dissipating herbs such as Jin Yin Hua, Lian Qiao and Zi Hua Di Ding and so on. 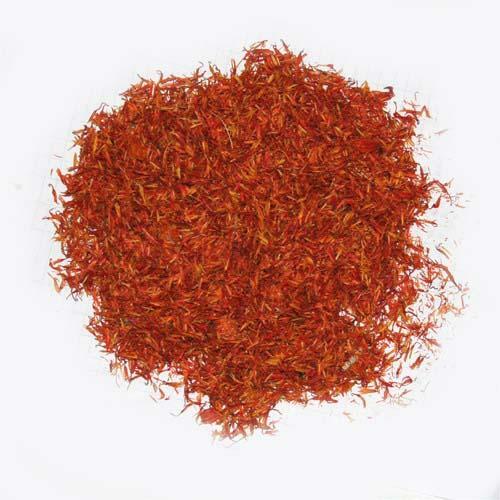 In addition, when this herb is combined with heat-clearing and toxicity-relieving herbs, and blood-cooling and eruption-promoting herbs, its actions of cooling blood, relieving toxicity, resolving stasis and promoting eruption are reinforced, so it is indicated for dark macule and heat depression and blood stasis.